Christmas is a special time. Therefore, we also prepare something special for our family and guests. We have collected the best recipes for desserts that you can prepare for your festive table. Desserts look wonderful and at the same great taste. Surprise your loved ones and make this year the adorable desserts that will remain long in the memory. Christmas Tree Cakes – Moist, flavourful, almond sponge Christmas Tree Cakes for when you want a break from the richness of the festive season. Super-cute too! 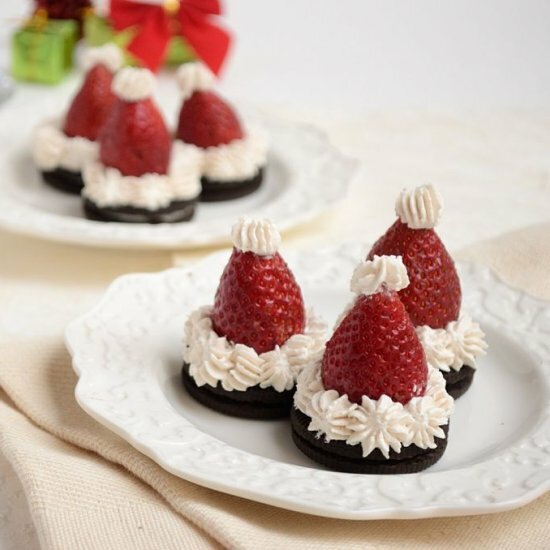 OREO Santa Hat Cookies – These cute little Santa Hat Cookies will impress your family and friends. This iced sugar cookie is the quintessential cut-out Christmas cookie! Gingerbread Cookie Sticks. 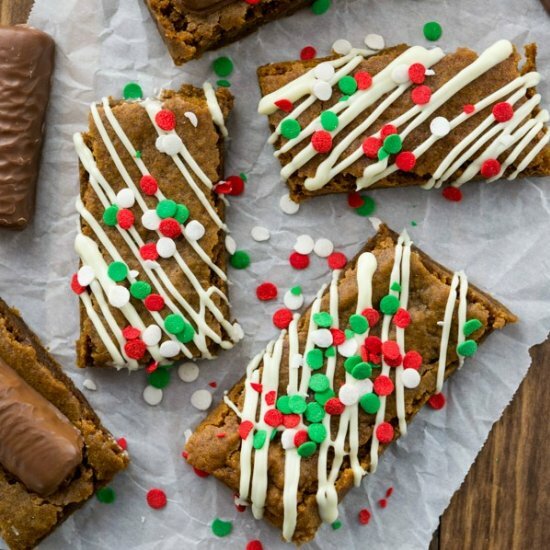 These are a family favorite: Gingerbread Cookie Sticks that are so soft and full of flavor. 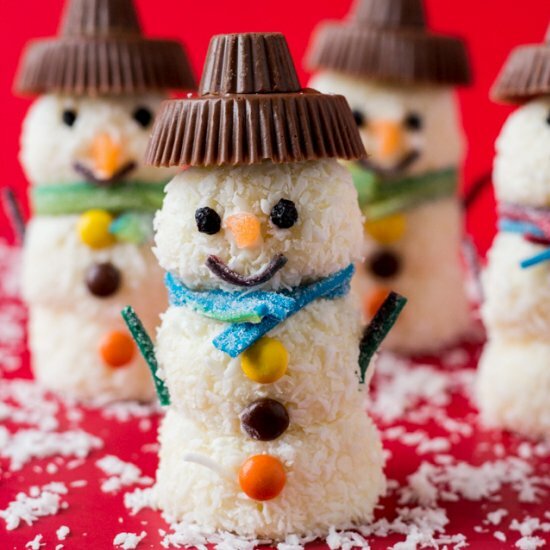 Homemade Raffaello Snowmen – the cutest, the easiest and most delicious treat you can make for your kids this holiday season. 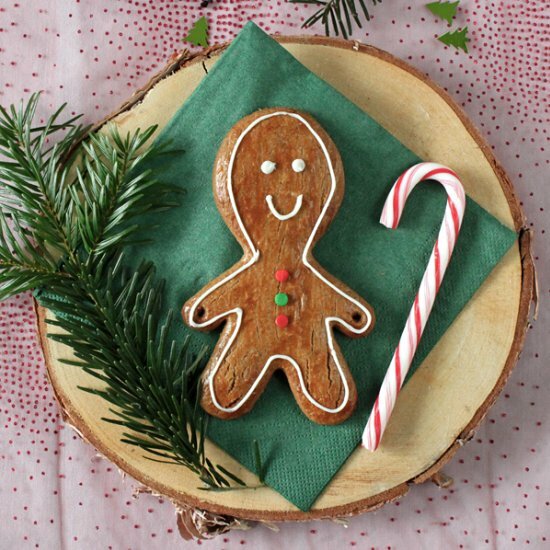 They are a Christmas classic: soft and delicious Gingerbread Man! 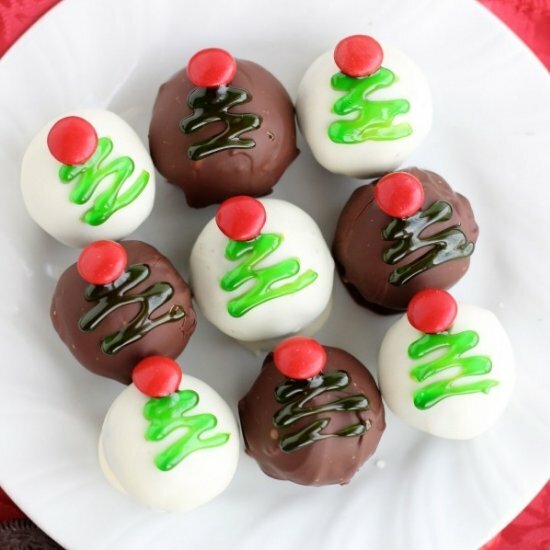 Christmas Tree OREO Cookie Balls. These traditionally made OREO Cookie Balls are decorated with green gel and a red M&M for a festive Christmas Tree treat! Tepee Cupcakes. These adorable little tepees are filled with yummy chocolate cake and are sure to make everyone smile. 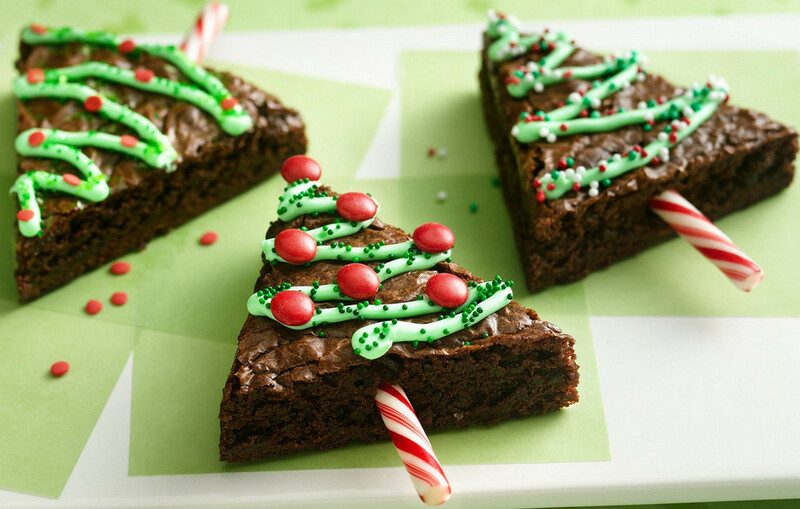 Holiday Tree Brownies. yummy and beauty. 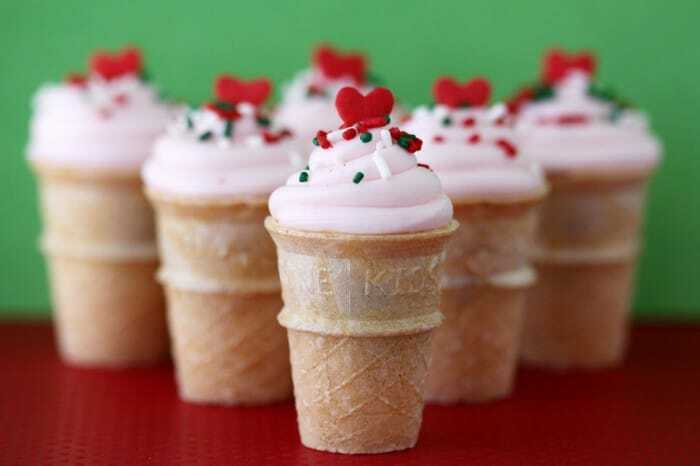 Ice Cream Cone Cupcakes. Your kids would absolutely go crazy for this.